One of the interesting ants that I am seeing more commonly in landscape settings is the Trap jaw ant (Odontomachus sp.). This ant is so named because of it’s large mandibles (mouthparts) that spring shut capturing prey. These mouthparts can also be used as a defensive mechanism allowing the ant to spring away from something it encounters. A nesting area is very recognizable after you have seen one because it looks like a collection of soil and small wood debris piled at the base of plants or old stumps. 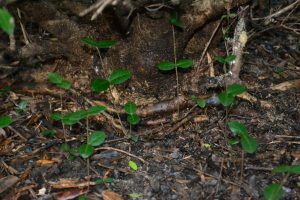 I have encountered nesting areas around living shrubs in many mulched areas of the landscape and under pots sitting on old tree stumps. Nesting debris from the Trapjaw ants at the base of a Princess flower. 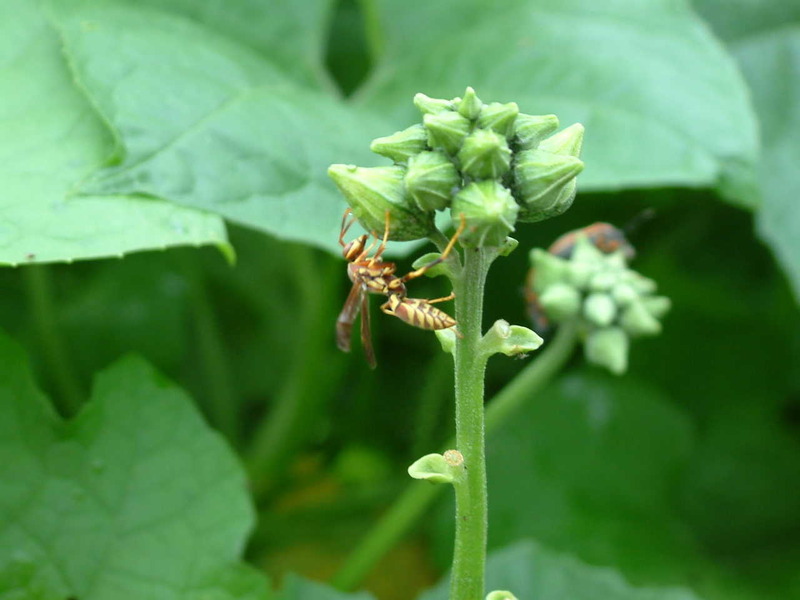 Photo by Beth Bolles, UF / IFAS Extension Escambia County. My first experience with the trap jaw ant was not very pleasant. I was working in a mulched area pulling a few weeds without gloves. 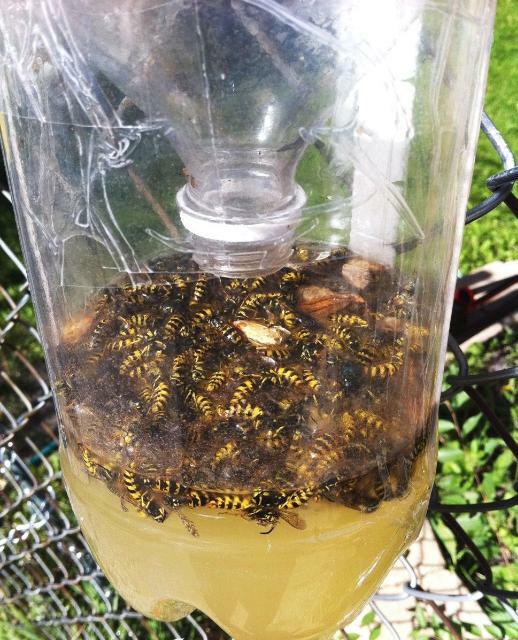 I unknowingly disturbed the nest and received a pain sting similar to a paper wasp sting. The discomfort was short-lived and I personally did not have inflammation or inching a few minutes later. Of course, I identified the ant and have since become very familiar with recognizing nesting spots. 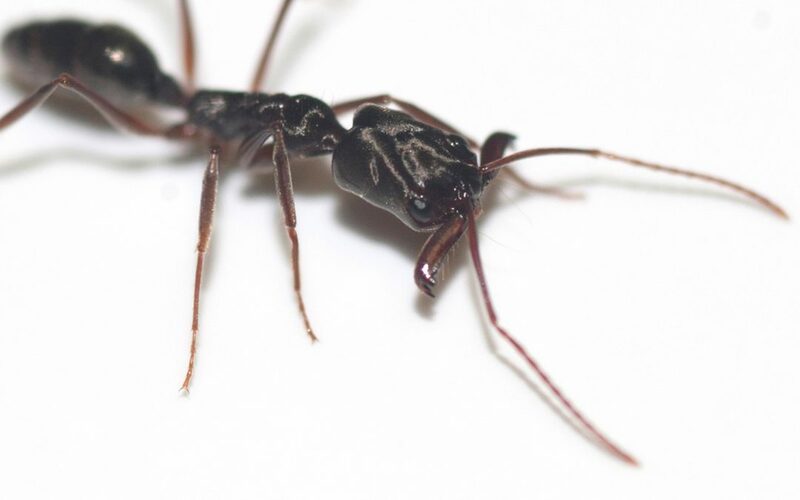 Although trap jaw ants are not native to our area, they do not rank in the same category as fire ants which are both economically and medically problematic. 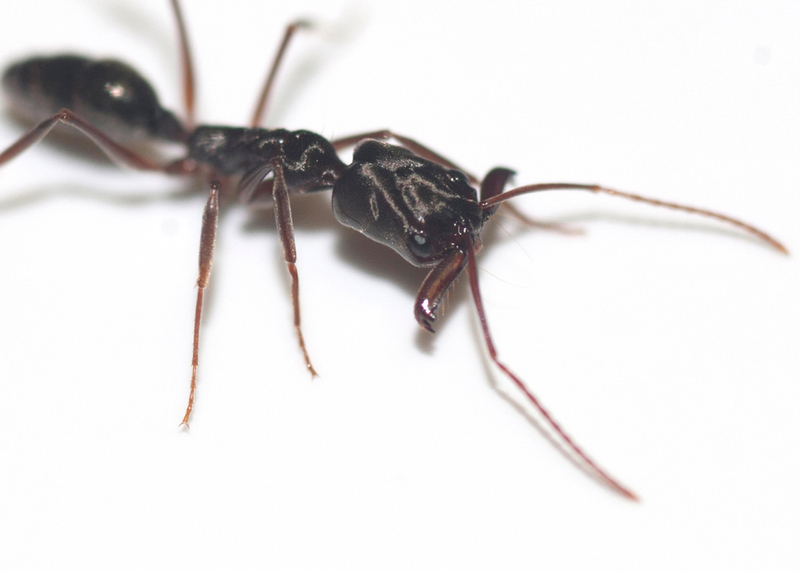 Since trap jaw ants are currently found in more natural areas of the landscape, homeowners should just be aware of their presence. Consider a pair of gloves or garden tools when rooting around in mulch. 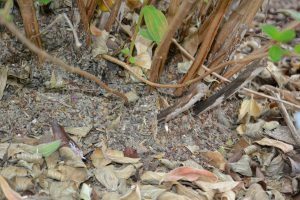 When a nesting area is disturbed, the large ants (about .5 inches) will be easy to observe as one of the more interesting ants we may encounter. 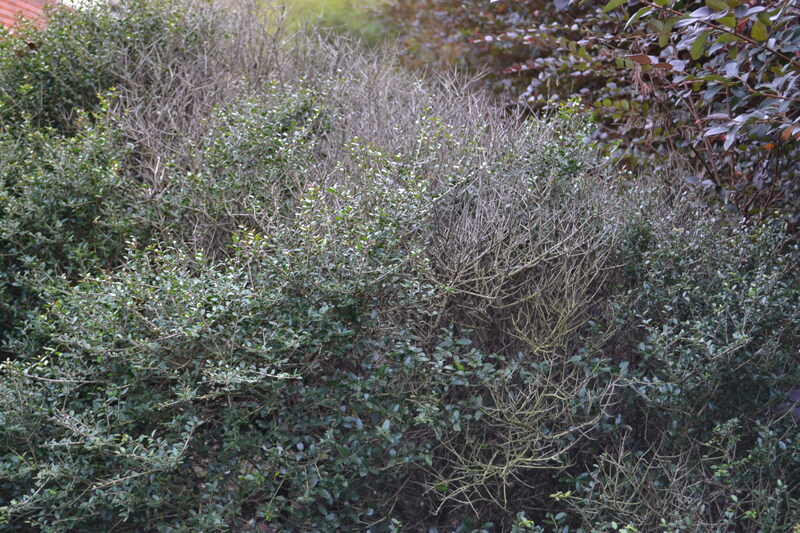 Shrubs can serve many purposes in a landscape and have been used in both mass plantings and as accent features. They can include plants that offer colorful blooms, food for pollinators, and screens for less than favorable views. We tend to think that shrubs will be permanent feature in our landscapes, because many are hardy and adapted to our climate. 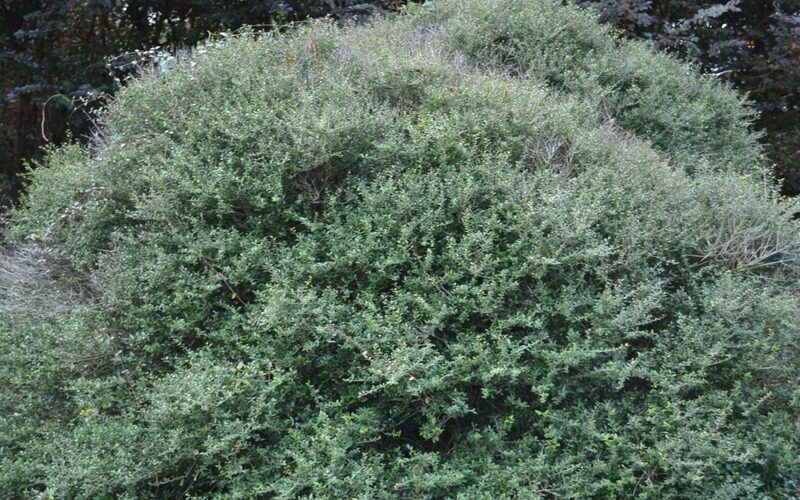 Like any other plant you may choose for your yard, shrubs may not live forever and there are a wide variety of reasons a shrub may need replacement after years of solid performance. Let’s use any example from my own yard of the Dwarf yaupon holly, Ilex vomitoria ‘Nana.’ Back in 2001, I planted three hollies, spaced with plenty of room to grow, in a border area of my landscape. 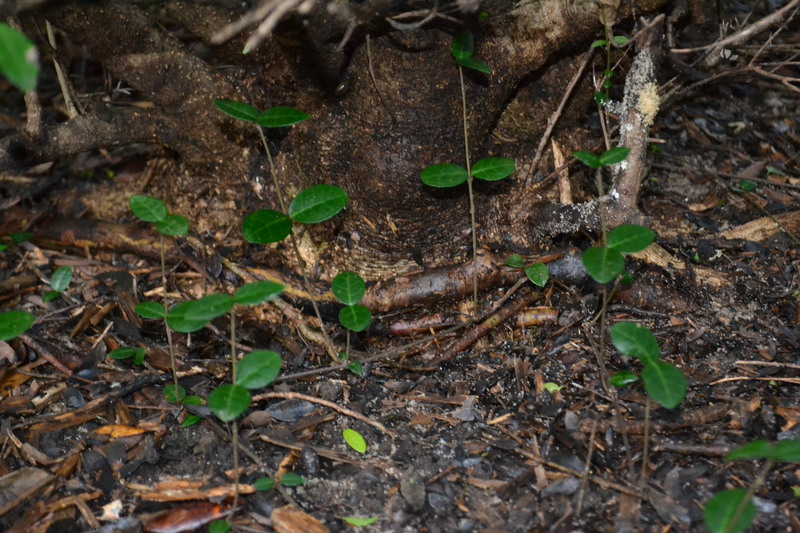 The plants grew well forming mounds about 3.5 feet high and 4 feet wide. Since the ‘Nana’ holly is a naturally mounding shrub, it did not require pruning and once established, rainfall supplied needed water. Over the past year, several areas of branch dieback have developed in all plants. After finally deciding that the dieback was unattractive enough to warrant plant removal, I began cutting the plants back. I discovered dead interior branches, girdling roots, and some internal stem discoloration. In other words, there are many factors that have led to poor plant performance. Another issue is a large Loropetalum hedge (planted by my neighbor) that shades one side of the plant. What could I have done to help these plants stay healthier for many more years? I could have prepared the rootball better for planting by shaving off the edges or supplied a little fertilizer on occasion in my sandy soil. 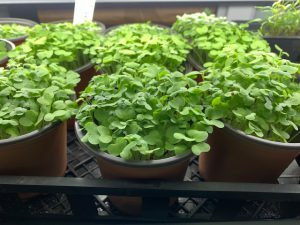 These practices may have extended the life of the plants for several more years, but they may not have made a difference. 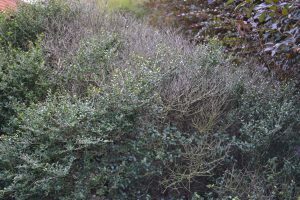 Sometimes shrubs decline and die. I am accepting that not everything performs at an outstanding level in our climate. Also, there is an end point for some of my favorite plants in the yard. Some may outlive me while others thrive for a few years or a decade or so. The bright side of loss of my Yaupon hollies is that I get to plan for a feature for the new year. Maybe something for pollinators and birds to last the next 17 years. Just when you think your battle against weeds is over for the summer, cooler nighttime temperatures and shorter days spark the beginning of a new crop of your least favorite plants. The question of many homeowners is how did all the weeds get to my landscape? There are many ways that weeds make it to the landscape. They can be brought in with new soil, mulch, container plants, dropped by birds, delivered on the fur of animals, carried by wind, or on the deck of a lawn mower. If that is not enough to depress you than also realize that regardless of outside sources of weeds, your landscape already has plenty onsite that you don’t even know about. 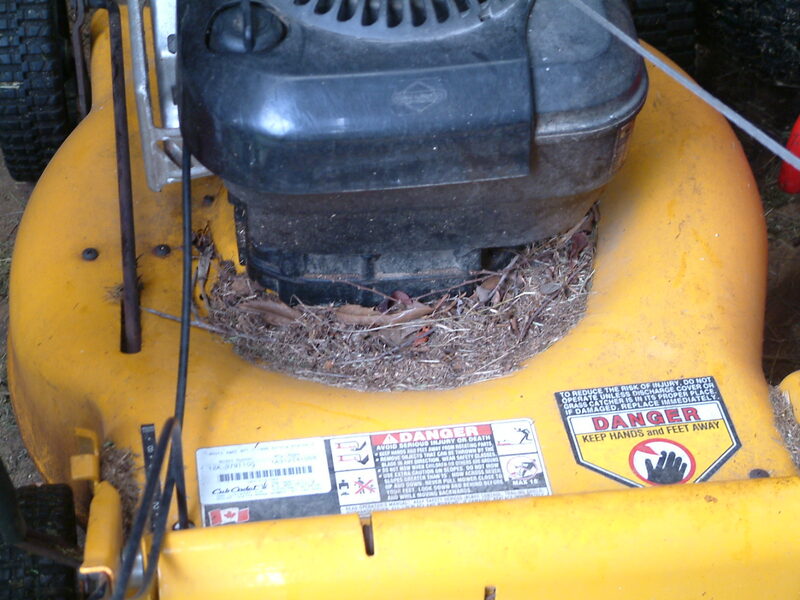 The deck of a lawn mower can collect plant debris, including seeds, that are spread through the landscape. Photo by Beth Bolles, UF IFAS Extension Escambia County. 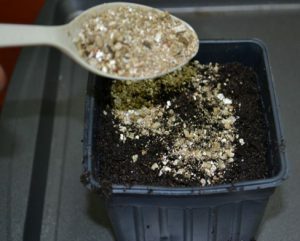 In the soil, there is a large number of weed seeds ready to germinate when the conditions are just right. Understanding how your common landscape practices can encourage or discourage the germination of these seeds, can help you begin to manage some weed infestations. Many of the seeds of common annual weeds are very small. 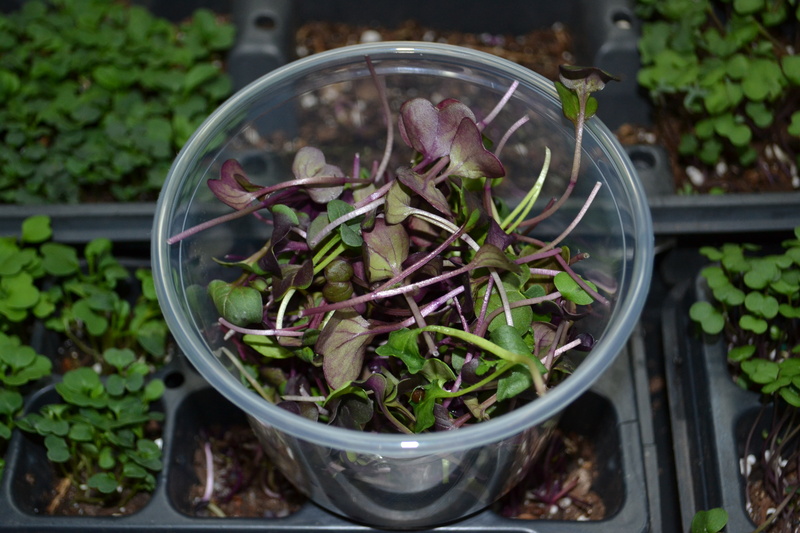 They require exposure to sunlight in addition to the proper temperatures and moisture to germinate. 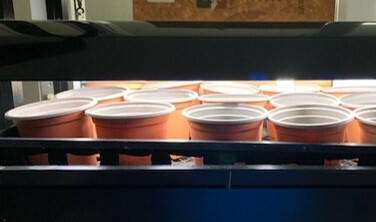 Sunlight is critical though and seeds will not germinate without adequate sunlight. If the small seeds are deep in the soil, you will probably never know they are there. When you turn soil or disturb soil such as when installing plants, you bring the small seeds close to the surface and closer to light. They can then be stimulated to germinate. The next thing you know is that you have an area covered in weed seedlings. What does this mean for your gardening practices? Try your best to block sunlight from hitting exposed soil. You can do this by keeping a healthy turf, free of thinning spaces. A 2-3 inch layer of mulch in plant beds and vegetable gardens will reduce weed seed germination. Finally when you are installing plants in an established bed, try not to mix soil with surrounding mulch. 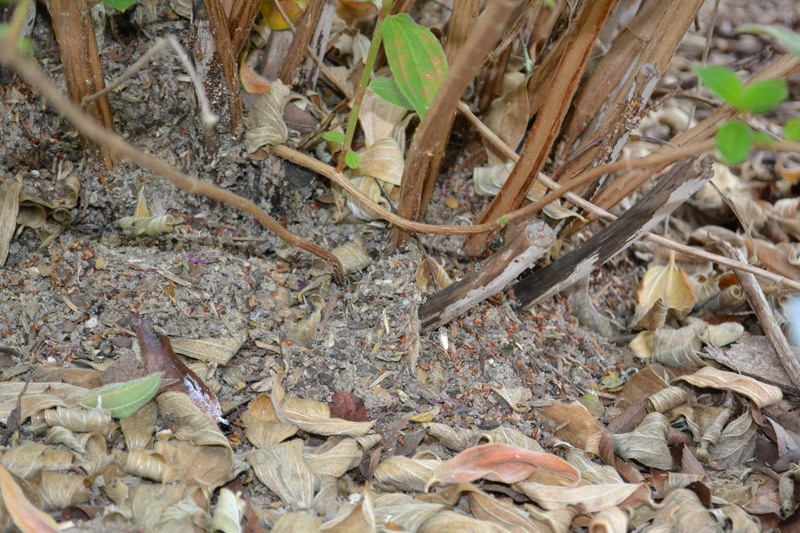 Seeds will easily germinate within the mulch if it becomes mixed with soil. 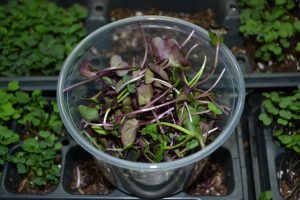 It is inevitable that your landscape will have some weeds but a few easy gardening practices can reduce some of your weed frustrations.